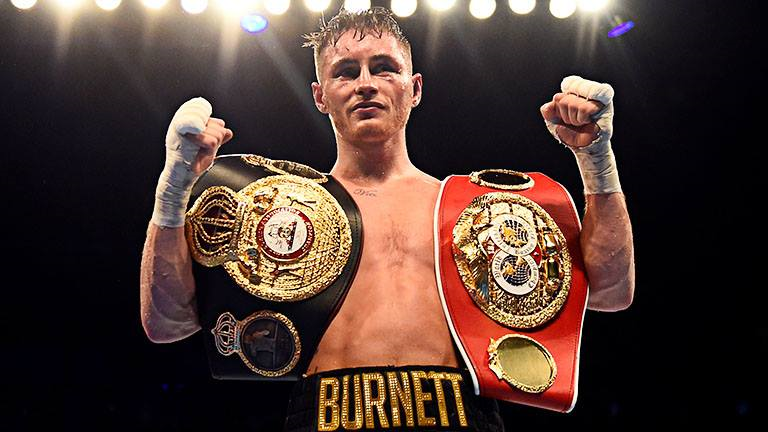 Former WBA bantamweight champion Ryan Burnett 19-1 (9) has opened up about the injury that cost him his world title, his undefeated record and his chance to win the coveted Muhammad Ali Trophy in his quarterfinal fight against Nonito Donaire 39-5 (25) in the second season of the World Boxing Super Series (WBSS). The 26-year-old Belfast boxer, who entered the WBSS at the number one seed, retired on his stool at the end of the fourth round against former four-division world champion Donaire at The SSE Hydro in Glasgow, Scotland on November 3. After a competitive opening few rounds Burnett threw a counter right hand late in the fourth round that missed its target. Almost immediately Burnett clutched his right side, took a couple of steps back and took a knee. He survived the round but was in no shape to continue the contest. “Firstly, THANK YOU to everyone for your support and kind messages,” wrote Burnett on social media. “I want to thank Nonito Donaire for sharing the ring with me, and for being a man of such great character, and I wish him all the best for the remainder of the WBSS. “I am absolutely gutted not to be World Champion. This scenario was totally out of my control, but I understand, Injury is the difficult part of sporting life. “My assessments have been completed, and diagnosed that I have torn muscle fibres in my right internal oblique, where a portion of the muscle has also detached from the bone where it inserts. “This is not a career ending injury, but is one that will require intensive treatment and rehabilitation. The 35-year-old Donaire will now face South African Zolani Tete 28-3 (21) in the WBSS semi-final early in the new year. Tete defeated former amateur star Mikhail Aloyan 4-1 over 12 lacklustre rounds in Russia last month to progress to the next round of the competition. On the other side of the bracket number two seed Naoya ‘Monster’ Inoue 17-0 (15) of Japan will face IBF boss Emmanuel Rodriguez 19-0 (12) of Puerto Rico in 2019. Inoue is coming off a first-round blowout of Juan Carlos Payano 20-2 (9) in Japan on October 7, while Rodriguez earned a hard-fought 12-round split decision victory over Australia’s Jason Moloney 17-1 (14) in Florida on October 20.